Whaa Whoooo! what a way to kick of the 1st Rascal of the new year. 1st up thank you to the Punch-Out DJ's for getting the party started, and secondly thank YOU all for coming out and partying like there was no tomorrow! Great fun had by all. 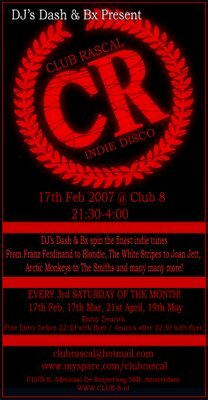 So lets do it again same time (17t Feb) same place, same great indie tunes!